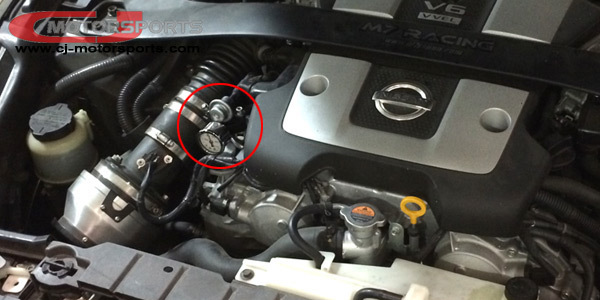 Add a 1/8 NPT Fuel Pressure splice to late (2003+) Nissan 2-Bolt fuel flanges. Include the optional 1.5" 0-100 psi liquid filled pressure gauge where space and visibility permit, or add your own pressure sending unit for electronic in-cabin gauges. Included is a viton o-ring to seal the flange and the necessary stainless installation hardware.